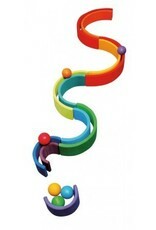 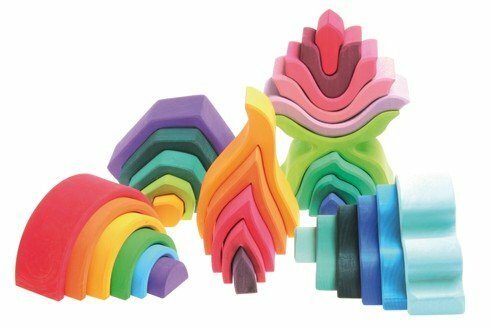 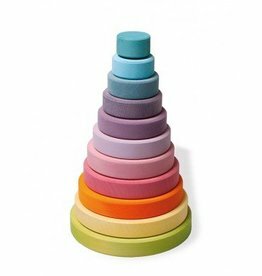 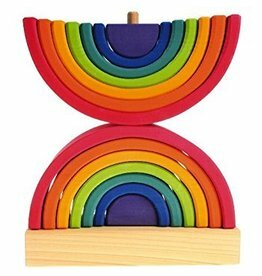 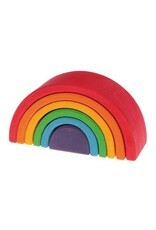 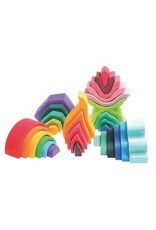 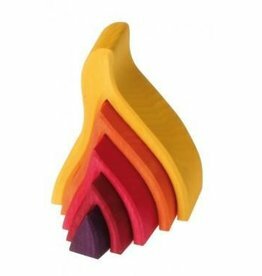 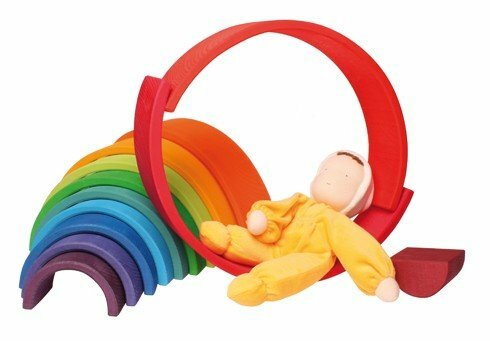 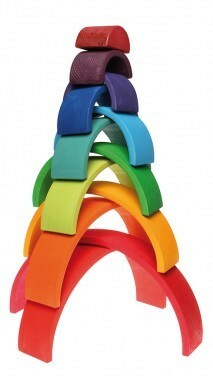 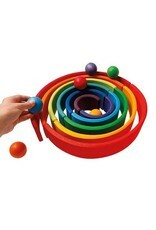 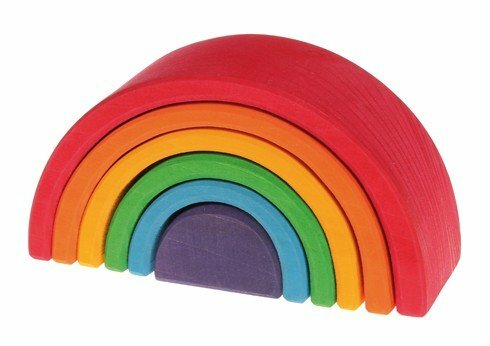 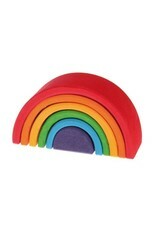 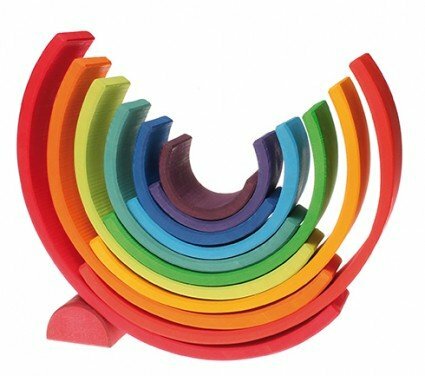 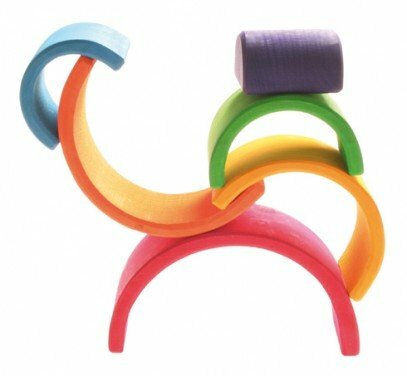 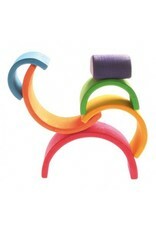 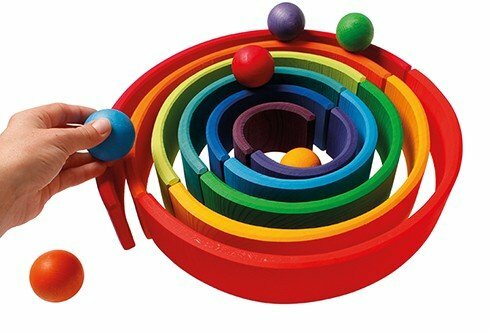 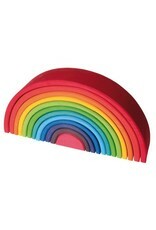 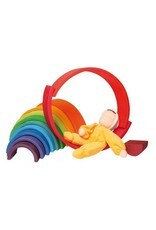 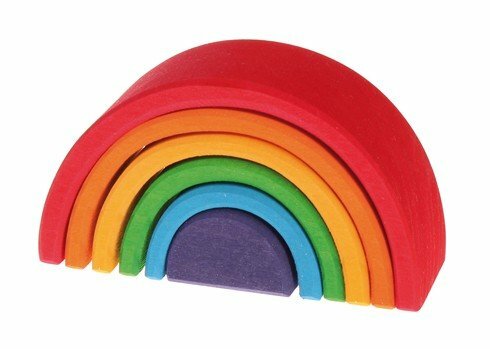 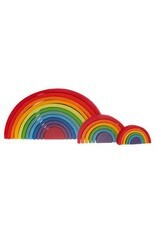 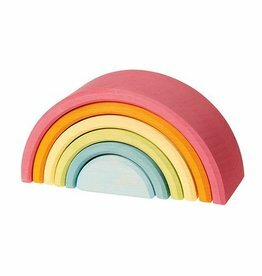 The large Rainbow is really versatile and ideal for small children! 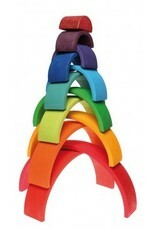 Toddlers stack, sort and build and as the children get older they will use it as a cradle for dolls, as fence for animals, like a tunnel or bridge for vehicles, as house for dwarfs and dollhouse dolls, build amazing sculptures... this rainbow will always be integrated in playing with a lot of fantasy. 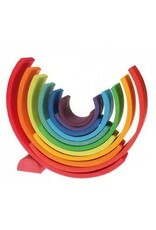 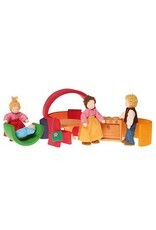 This product is recommended by "spiel gut" (good toy guide). 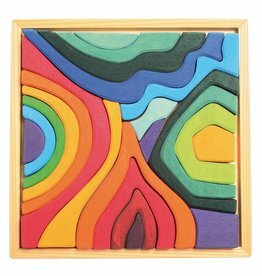 Materials: lime wood, non-toxic water based color stain. 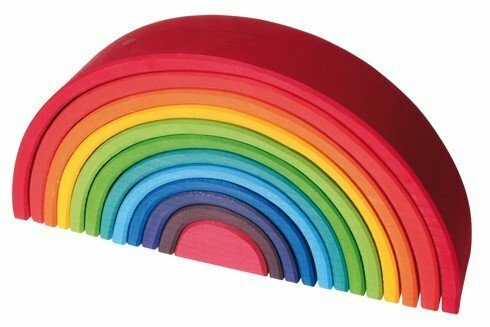 Size: length 37cm, height 18cm.